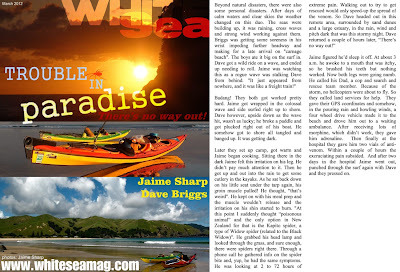 A bit of a vid about our adventures prior to heading out to paddle Isla Coiba. 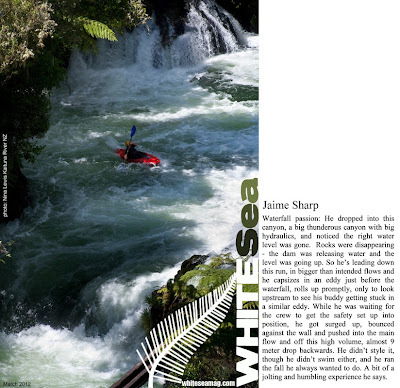 Here is a Piece Marty Perry, of White Sea Magazine and the Hurricane Riders, did on the NZ expedition in 2011 and some other stuff on me, as well as some of my pics used for illustration. Jan 25th Return to Coiba! We are on Coiba Island, with some great guests, we will be exploring a very small part of the island with them while we are here, though it will be a good taste. we have the TRAK's here in their bags, though will set them up and send the Bag's back to Santa Catalina when our guests leave on the 27th. I am eager to get underway, and things seem to be going sour as far as our permission to continue afterwards. I am a bit worried that the Rangers will renege the permission; is it because Allie is a girl? is it because they want money? we will see. 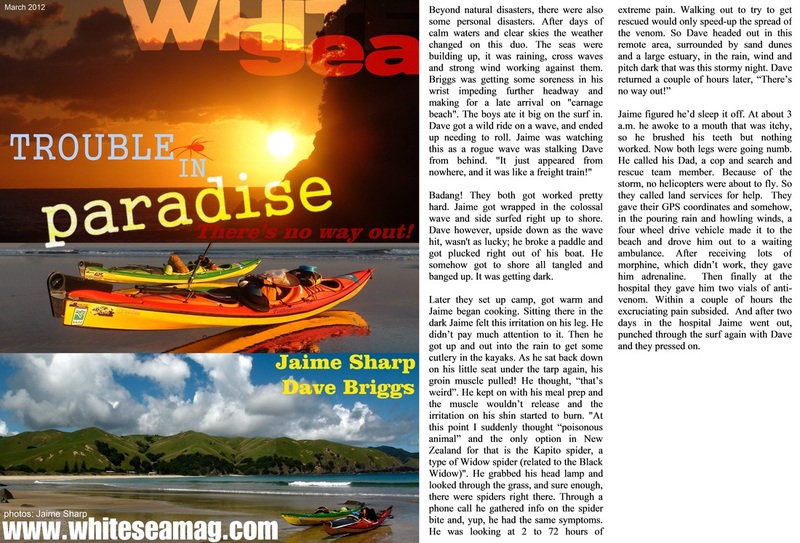 for now we enjoy the sights by kayak and snorkel with our guests. For me it is so cool to be back here on Coiba with the plans and the means to circumnavigate this island that captured my imagination 2 years ago. We plan to paddle around the island in a counter clockwise direction, the circumference of the island is roughly 66 NM, then we have a 32 nm distance to travel back to Santa Catalina, via an island chain then the main land coast. it will be hot and awesome. Allie and I speak English to each other, “we need at least 10 days on Coiba!” “yes I Agree!” “Just tell him that we are experienced kayak expeditioners and have a locator beacon and a VHF radio”. Allie turns too Yann and discusses the issues in French (Yann’s native tongue and Allie is fluent), he then picks up the phone and calls the number on a piece of paper. In fluent Spanish Yann request Senore Santiago Rojo the Jefe Grande of the ANAM Coiba. It is our third call that day in a French, English, Spanish communication train that has been us trying to confirm permission to circumnavigate Coiba Island by Sea Kayak. The first call found Senore Rojo, not in the central ANAM base in Santiago town (funnily enough also the first name of the man we were trying to track down) , so we had to call isla Coiba. That last call found Senore Rojo not at the main office and we would need to call back, though it sounded positive from his underlings there that it should be ok.
Yann now made the call and Senore Santiago Rojo came to the phone, a fray of quick Spanish conversation began, during the course of it, the tones in yann’s voice and the little Spanish we could understand, made Allie and I both feel we were losing. However at the end of the conversation, Yann thanked Senore Santiago hangs up and exclaims in French, Spanish and English “tout va bien”,” Todo es Bien” and finally “it is all good!” wonderful, it appears we are all good to go. That was two days ago, yesterday we were shopping for our food supplies in Santiago town, we hitched a ride into town with Mike McKenzie of Fluid Adventures as he was purchasing the food for the trip with his clients we will be guiding. He also took our supplies back for us, as we remained at a hotel here to use fast internet to allow me to get the final edits of the second Episode of TRAK Files through for work. I had worked on it all night and I am still working on final edits right now. I am sitting and waiting for the final good version to upload to the server before Allie and I can leave back to Santa Catalina. The first upload was full of errors and now we have missed the last bus back to Santa Catalina. However we found a taxi who would drive us for $50 now we can leave here when the video uploads again, the taxi and driver wait for us outside ( other drivers tried to charge us $70). It is a close push for time and it has been very unfortunate that internet in Santa Catalina has not been fast enough to allow me to upload regularly from there, however that is filming editing and producing on the road while adventuring in Panama. 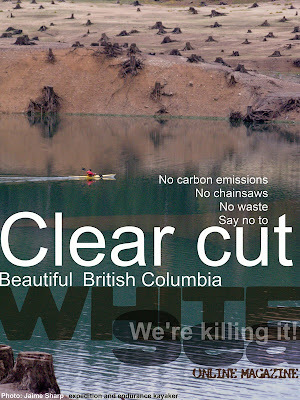 Let’s hope this cut is good enough as tomorrow we leave for over 2 weeks to Isla Coiba. We have just got back to Santa Catalina, the upload went through just before 10pm, we hoped in the taxi and dark safe ride of 2 hours has us back at our tent. In 6 hours we must be up again, pack up our tent and gear load on the launcha with the clients and head out to Coiba; we are soon on our way, for now a short sleep waits. 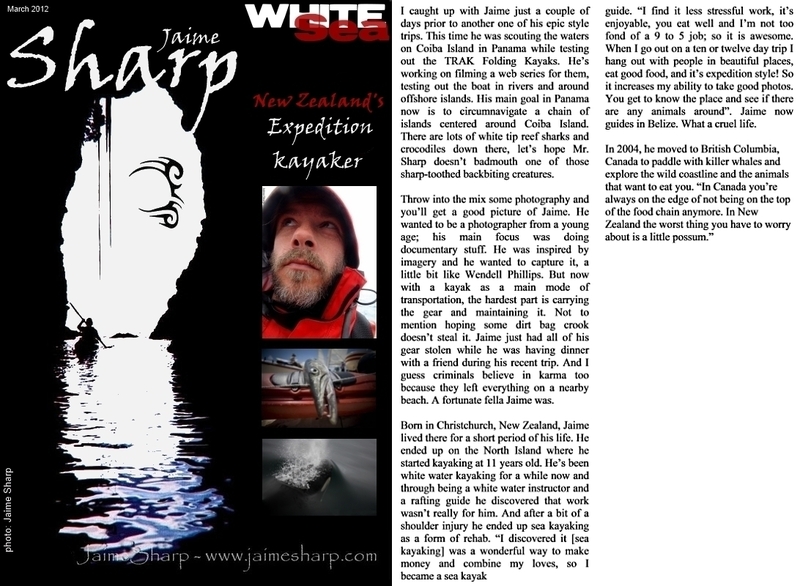 When I undertook a personal journey attempting to paddle the length of New Zealand in 2011, I was initialy disapointed to be over shadowed by another young paddler who was, that same summer, going for the record of "first ever paddler to round all main islands of NZ in one go" and do it solo on top of it. 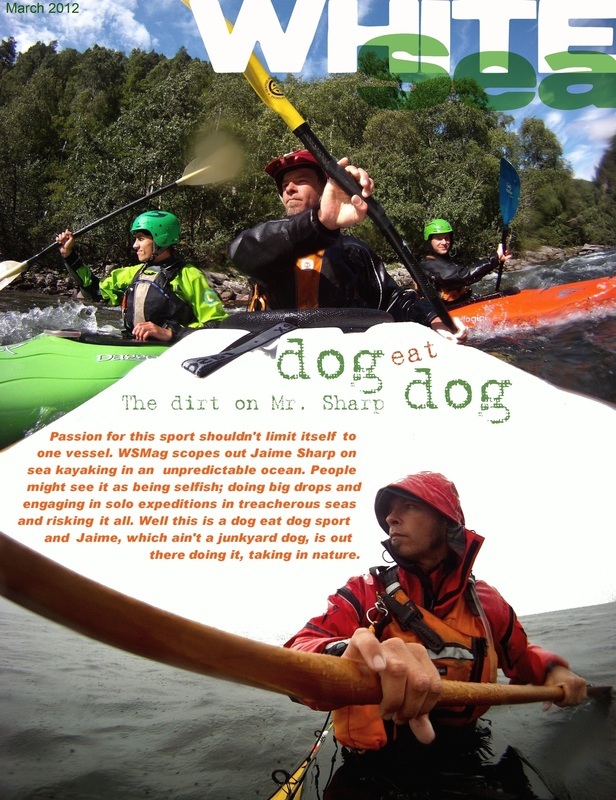 We (Tim and I) came to be friends over email and hoped to paddle together at some stage on our journeys if possible (it never came to be however). I got over my little bit of ego envy and stood in admiration of this fiesty young blokes guts to takle such a large goal (one I had turned away from). 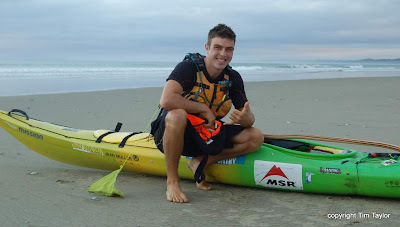 we shared a common journey though each of us completed different parts at different times, and my journey of 3 months gave me the insight to know just how amazing Tim's effort to complete all of the NZ coast by paddle was. Tim Taylor was not able to complete the whole project in one go, though did finish his objective that he started in 2010 this year, Good Job Brother, Hats off to yah! 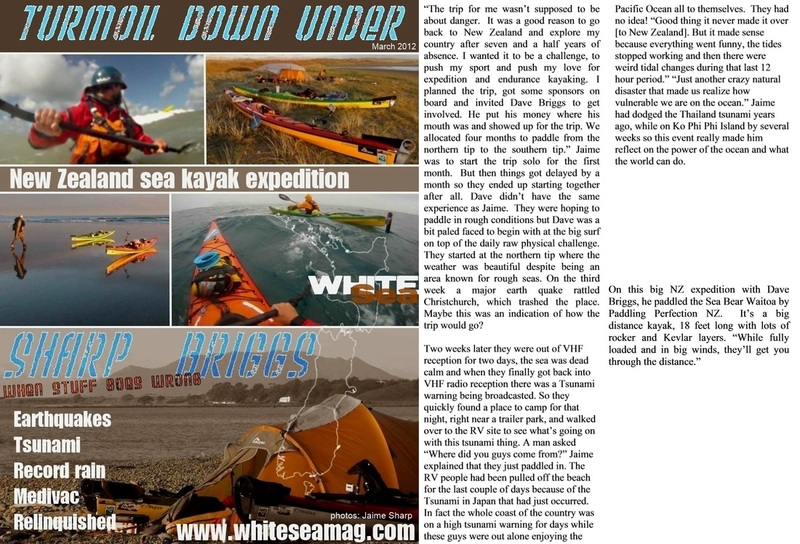 "Wednesday the 29th was to be my final day on the water and what a day it was. On my plan I had indicated that I was going to take 2 days to do this final stretch back to Tauranga but that ‘get home itis’ had well and truly infected me and I made the decision to risk it all and just see if I could make it After all, if I did make it I wouldn’t exactly need any energy reserves for the next day. With a really dodgy forecast this was a bit of a gamble but I was on home turf now and I knew that I could take certain risks along this stretch of coast and get away with them. Out on the water I made myself one hard rule which was that I would only stop on the hour for my designated snack stop. Nothing else. Knowing I had a long day ahead of me, I put on my ‘tunnel vision goggles’ and really just chewed up the miles. I rigidly kept to my no stopping rule which was hard because I was passing some beautiful coastline and because my body was often screaming in pain (particularly my legs). Passing Whangamata not long after 10, I knew I could make it back to Tauranga. 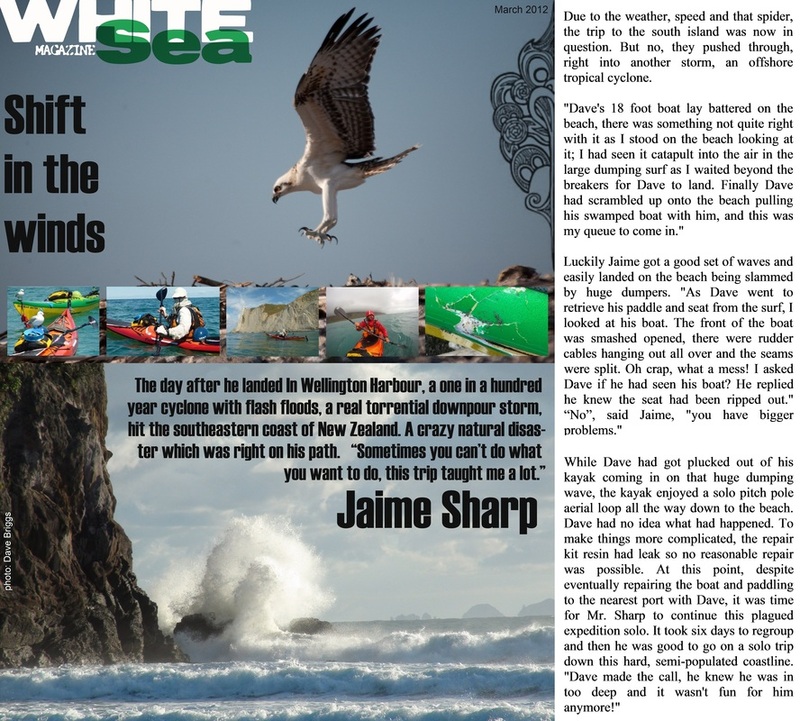 Out to my port side (left), I had the Bay of Plenty’s silent sentinel, Mayor Island, watching my progress and occasionally I could see the top of the Mount come into view between swells. These both gave me a huge boost mentally. By the time I came into the Tauranga Harbour I was buggered. 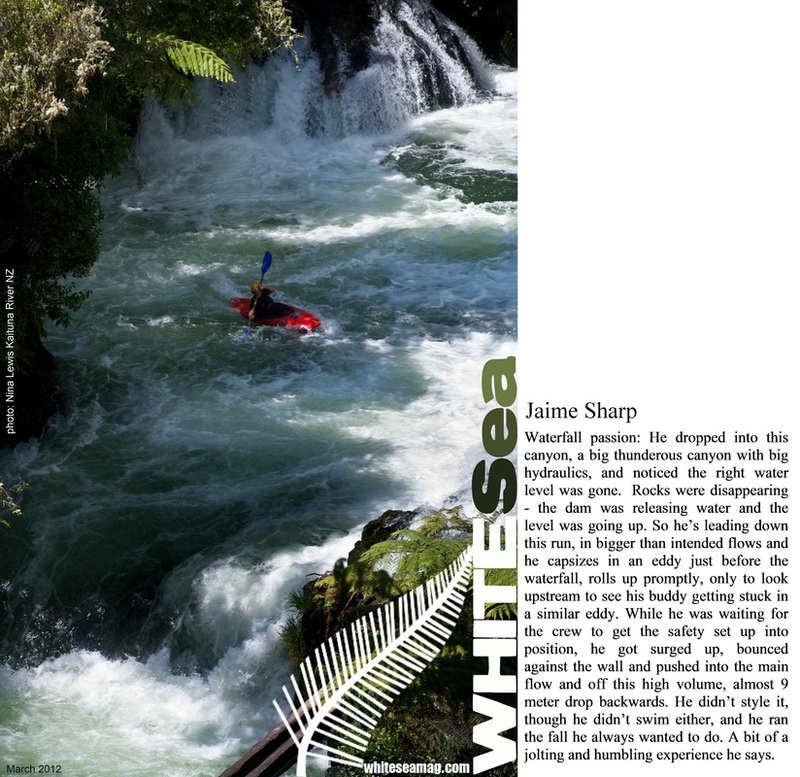 I still had to paddle up to the Wairoa River and as the tide was almost fully out this was an extra distance of about 15km. It also meant that I had to paddle into an outgoing tide for the last hour. Getting a final spurt of energy, I powered up the harbour, overtaking a bunch of yachts that were racing (there wasn’t much wind so they were going pretty slow). Finding the Wairoa channel is always a problem at low tide as floods each year often change it or completely fill it up with sediment. This time was no exception and I ultimately had to drag Waverly through a series of shallows before I found the deeper water. I was now on my home river and I allowed myself to relax and just enjoy it. I met old family friends Mark and Marie McGarver, who had paddled down to join me, and together we paddled the final few kilometres of my journey. Passing under the train bridge we were greeted by camera flashes and cheers. I stopped for a few minutes before heading the final distance up to the main bridge. It was now completely dark and a simply amazing evening in its own right but the welcome I got totally blew me away. There were dozens of people cheering me in and I was a bit shocked by it all...this had just been a kayaking trip to me so I never expected that sort of reception when I got home. So I have to say a MASSIVE thanks to everyone who welcomed me in. I will never forget the cheers, the handshakes, and all of the big hugs that I got...I was totally in awe of it all. The final tally for the day was 87.5km for 13 hrs 45mins. It was the 3rd longest day distance wise that I have ever done but it was the longest I have ever done time wise and I was completely buggered. It was a great way to end an awesome trip. For the record, I spent a total of 112 days on the water for the entire expedition, covering an average of 49.4km per day. 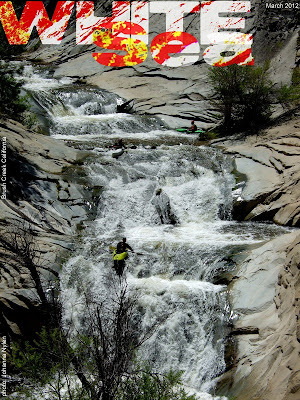 My longest day was 95.8km and the total distance I paddled was 5529.3km. I would just like to say another MASSIVE thanks for all of the support that I have received during this whole expedition. I met hundreds of people, received hundreds of emails and I was always blown away by the level of love and encouragement that I received. Like I said, this trip was a just a big kayaking trip to me and I always thought I was just doing something that I do best i.e. If I didn’t do it I just wouldn’t be working to my potential and I would ultimately be letting myself down. I never realised how much this trip would mean to other people so I am really stoked that I was able to give you all something. Your support and encouragement was your way of being part of it and I can confirm that it definitely helped so thanks for coming along for the journey. The next big thanks are to all of my sponsors. I was blessed with an amazing group of sponsors who had my back all the way through. The gear, the financial support, and the physical support that they provided was crucial and I could never have done it without them. Please consider all these brands when you next come to buy a bit of gear or have your next adventure because I can recommend all of them. All of the equipment that I used has been thoroughly thrashed, abused and otherwise treated badly...and all of it survived. So if I can’t break it then no one can! Most of these companies are NZ locals so help another Kiwi out and give them some business. So what’s for the future? Well my next big project is starting my very own kayaking business. 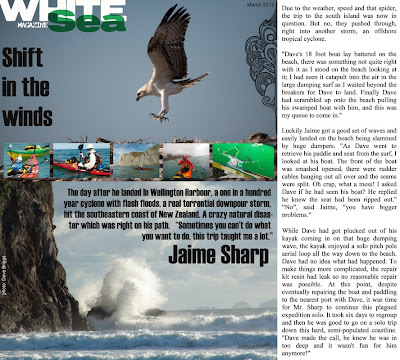 This will be based around my second big love, kayak fishing, and I hope to be taking people out on their own little kayak fishing adventures around the Bay of Plenty. I figure I may as well try to get paid for kayaking haha. 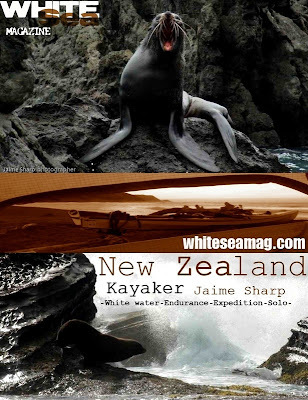 Keep an eye out for ‘NZ Kayak Adventures’ coming to a shore near you and on this website as I will be using it for both the business and for any new kayaking adventures. There will also be the book, which I hope to get sorted over the next few months. I guess you all will know about the adventures that I’ve had but this will be the definitive version and it will have all of the photos, so keep an eye out for that too. As always, I will be available through the usual channels if you ever want to get in touch but until then everybody, get out and enjoy a slice of NZ and enjoy what this amazing world has to offer. Beer bottles litter the table, along with a small bottle of single malt scotch travelers whiskey and an odd assortment of wine vessels. Guitar strings ring in wonderful symphony along with rhythmic spoons, a whaling harmonica and bucket drum. The evening is merry and joy with drunken singing and laughter, sweet music filling the air (or at least it is thought so in the ears of the drunkards). Scottish folk songs a play with a flurry at the finger tips of Calum Wood of “The Banana Sessions”, while his newly made Fiancé Jennifer sings along in accompaniment with her sweet voice and the rest of us just try to sing what we know. It is a fine night of celebrations for sure when a traveling couple from Scotland get engaged upon a tropical beach backed by a fiery red setting sun across the pacific ocean, and that is exactly what this night is all about. Today we played Frisbee; the sunset glowed golden, and we hopped and skipped amongst the pools in the sand, chasing and throwing the small plastic disc as we laughed and leaped after it. Paradise is sweet and full of fleeting moments of glory. Departure to Coiba looms closer though there are some issues arising. There is mixed opinion as to whether we will be allowed to do the trip by the ANAM park rangers, some people say yeah no problem, others say no way. I have tracked down the phone number of the head ranger (thanks to Mike my mate who runs Fluid Adventures here and is actual the lead doubter of our case), and we are organizing to get someone to talk on our behalf to the Jefe Grande, or head ranger about our case. Yann the proprietor, of where we are staying, is happy to help, he speaks French, Spanish and English, we will see what happens once we are ready to call. On a great note, Allie and I will be doing three days of guiding for 3 of Fluid Adventures clients, in turn we make enough money to pay for our trips food, get a free boat ride to Coiba and have our park fees paid for. We then plan to leave right after the trip with clients is done. Fingers crossed it all comes together.